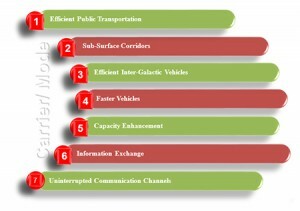 With the impact of rapid urbanization, there are lot of demands being placed and pressure on the transportation sector. In cities such as Hyderabad, Bangalore and Delhi, the vehicle growth rate is approx. four times the population growth rate. The transport infrastructure growth is limited and unable to meet the vehicle growth rate. Road usage by public transport is very low at 12-15% and IPT road usage is similarly quite low. 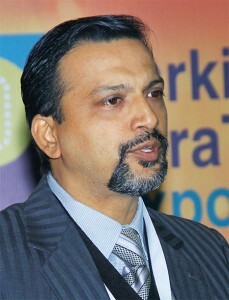 Another challenge is the inadequate parking which is a problem for the last mile connectivity of multimodal transport projects such as metro rail transport. What we are looking at is how, given the various technologies available for mass transport today, how do we define the operations, governance and carrier (carriage) design aspects. Technology is needed to plan, optimize and improve the efficiency of various modes of transport and ensure that they stay profitable. Debsikdar was a speaker at the TrafficInfraTech Expo 2015 Conference held in January 2015 in New Delhi. There are many technologies available to improve the performance of all the four modes: road (buses and cars), rail, air and water. There are four factors that need to be taken into account in any carriage or mode of travel: Capacity, Efficiency, Environment and Security. Today the requirement is how to increase the capacity of the carriage, to carry more people while consuming as less power as possible. Using green fuels would significantly decrease carbon emissions and make the carriage eco-friendly. There is an operations part of a mass transport system that has to be managed in any carriage or mode: public transportation of buses, traffic management, rail operations etc. There are many technologies that facilitate this. Operators have technology, IT systems and automation to manage the various aspects of a transportation system, but these need to be re-looked. A relevant question is what can a operator do if there is congestion on the road due to heavy rain or maybe a fire due to some accident? The answer is: nothing. 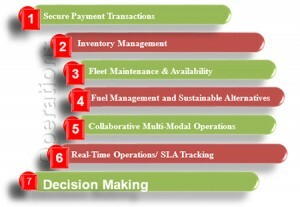 These are factors beyond the operator’s control. Thus, other agencies have to be involved in traffic operations to remove bottlenecks and ensure smooth operations: fire agencies, municipal authorities etc. There is a need for a suitable technological platform where all these different stakeholders can work together in a coordinated manner to resolve the issues and achieve the desired result. 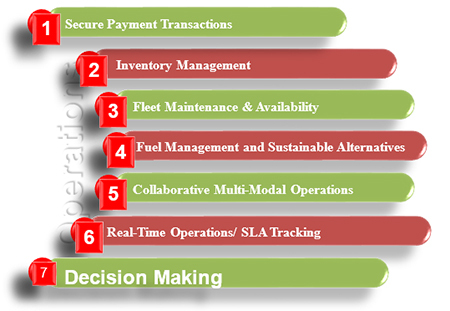 Another thing necessary for smooth operations is a decision support system. For example, there may be an incident on the road that can causes considerable traffic congestion on the road, say after 15, 20, 30 or 40 minutes. The question is, could this incident have been predicted? The answer is yes, technology can predict these incidents and helps in setting up a Standard Operating Procedure for such incidents. This SOP will say that when a particular type of incident occurs, these many number of stakeholders have to be informed, and these are the steps that have to be taken so that the traffic congestion eases in a considerably lesser time than what would happen otherwise. Talking about big data and analysis, this data has to come at the right time and at the right place through which operator can run the analysis appropriately. There are two tools that help in this: the real time information and predictive analysis based on the traffic. Based on this data, the operator can see the traffic that would get accumulated in the next 15-20 minutes at that particular place. And with the help of pre-alarm systems a decision can be taken on that particular aspect.